I got this recipe while staying at a resort down in Mexico last year off the gardener at the resort. He was swigging back a flask of this stuff while working. After chatting with him for some time he offered me a swig. I was pleasantly surprised at his home made brew with great pride he shared with me his Watermelon Moonshine Recipe. This recipe actually makes a Watermelon Wine that taste great on it’s own. If you would like to take it one step further you can turn it into Moonshine by Distilling. I’ll walk you through the entire process and you can choose how far to take it. Step 4 – Pour the Watermelon juice into a large pot and add 5 lbs of sugar. As your adding the sugar make sure you have someone else stirring at the same time. Step 6 – Squeeze lemons and add to pot. Step 7 – Turn the heat on and heat Watermelon Mash up to boil for 5 minutes. Step 12 – Place Fermenter in room with a temp of at least 70 F for up to a week until fermetation process is complete. Step 13 – Once Fermentation is complete transfer contents over into Pot Still and Distill. Muddle watermelon, mint, sugar and lime juice with the Watermelon moonshine. Fill two serving glasses with crushed ice. Pour half of muddled drink into each glass of ice. Top with club soda. 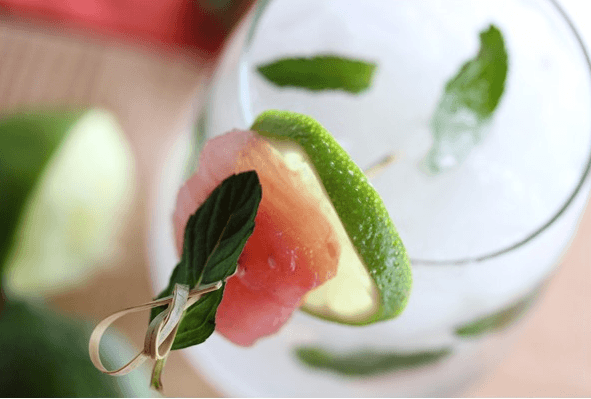 Garnish with watermelon, lime wedge and mint leaf, if desired. Or your could just dump your batch into one of these!! Can I add more sugar to this recipe to give me greater quantities of Watermelon Moonshine? You can however you will directly impact the quality of your final product. As a common rule distilleries never produce spirits with a starting alcohol higher than 8-10% due to the impact on flavor. I don’t have a still can I still make Watermelon Moonshine? 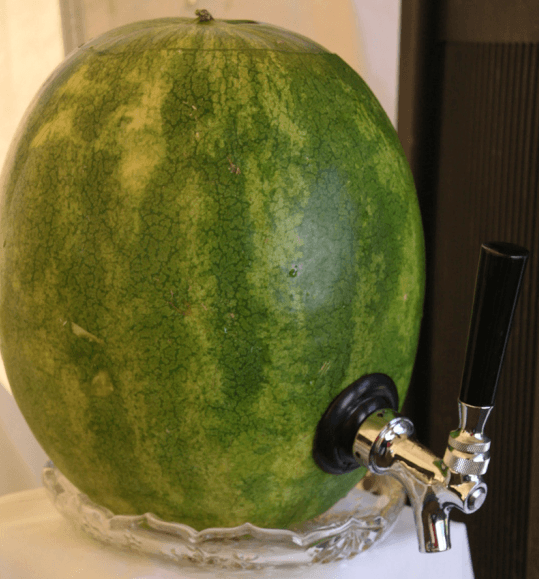 I’d suggest you add more sugar to the original recipe this will make the alcohol content higher and directly bottle the Watermelon Mash once it is done fermenting. This will give you what is called a Watermelon Wine instead of Moonshine. If you have questions or would like to tell us how your batch of Watermelon Moonshine / Wine turned out leave us a comment below. We would love to hear from you! 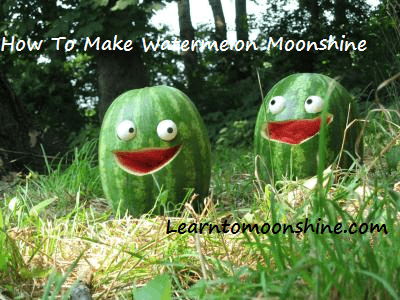 4 Responses to "How To Make Mexican Watermelon Moonshine – This Recipe is Great For The Summer Cottage"
I’m curious as to the type of yeast you prefer. There are just so many to choose from. I like LALVIN EC-1118 for fermenting fruit especially if you’re just starting out.. It’s easy to get at any brew shop and ferments well over a very wide temperature range, from 7 to 35C (45 to 95F) and demonstrates high osmotic and alcohol tolerance.. There are many others but start with this one and then experiment as you go to find the one you like best ! I tried this over the weekend and it was bubbling a way when I added the yeast but now it has stopped bubbling. How will I know when the process has completed? You will know that fermentation has stopped when bubbles stop emerging from the air lock.